A properly drafted will or trust is essential for anyone that has assets to leave to heirs. Either a will or a trust allow you to designate anyone you wish as beneficiaries. Both a will and a “revocable living trust” allow you to identify who the heirs to your assets will be. The main difference between the two is that assets held in a trust will avoid probate upon your passing, which is inhibitive to the heirs and costly. A trust structured as a revocable living trust can help shelter family assets from taxes by properly placing assets within the trust. Currently, the first $5.34 million (per individual) $10.68 million (per married couple) is excluded from estate taxes with any assets over that amount taxed at the Federal Estate Tax rate. 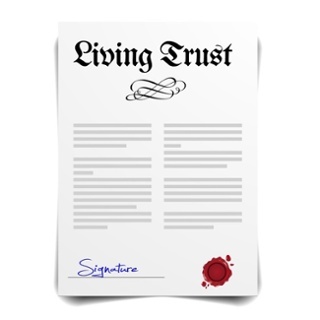 If you own property in another state, a living trust eliminates the need to probate that property in that state. A living trust can immediately transfer management of your property if you become incapacitated either physically or mentally. There is no need to go to court to appoint a guardian or conservator. If you choose to create a living trust, you should also create what is called a pour-over will. It provides for the distribution of any property that is not included in the trust. It will also allow you to name a guardian for any minor children. When a spouse passes, the surviving spouse has the ability to claim the used portion of their spouse’s federal estate tax exemption and add it to their own exemption. To transfer the unused portion, an election is made termed as a “portability election”. The portability election must be made on a timely basis by filing a federal estate tax return known as the “United States Estate Tax Return” also known as Form 706. The filing of Form 706 is due on or before nine months after the deceased spouse’s date of passing. An automatic six-month extension to file Form 706 may be requested by filing Form 4768 on or before the due date of the estate tax return. The portability election first went into effect for the estates of individuals that passed on or after January 1, 2011.